Cindy Goldrich, Ed.M., ADHD-CCSP, is a Mental Health Counselor, Certified ADHD Coach, Teacher Trainer, and Parenting Specialist. She works nationwide with parents, teachers, and related services professionals for the education, treatment, and support of children with ADHD and Executive Function Deficits. Cindy is an active writer, speaker, and contributor to the field of ADHD. "When I began coaching teens and college students who have ADHD, I quickly discovered that it is often the parents who need the support. I have met so many wonderful, caring parents who are at a loss as to why they, and their children, struggle so much. The reality is that love and logic are not sufficient when you are dealing with inconsistencies, challenges, and frustrations in raising your child who has ADHD. Once the diagnosis is made, the most important treatment is parent education and training – you often need a Black Belt in parenting! In working with parents, my philosophy is, “Parent the child you have.” Not the one you thought you would have or that others tell you that you would have if you just parented THEIR way. I help parents and professionals nurture children through tolerance, empathy, and support, with a healthy balance of guidance, structure, and discipline. As I say to parents: “Don’t bend the Universe – too much.” Prepare them for the real world, but know when to give them that extra chance they may need." Cindy received her Master’s in Counseling Psychology from Columbia University, Teachers College and her ADHD Coach Certification from the Institute for the Advancement of ADHD Coaching. She has trained with Dr. Edward Hallowell and Dr. Ross Greene. Cindy provides Professional Development for schools and professional organizations and at national conferences addressing how ADHD and Executive Function Deficits impact children and how to help boost behavior and performance. Cindy also trains professionals to become Parent Coaches through her ADHD Parent Coach Academy. As the Founder of PTS Coaching, she created and facilitates the highly acclaimed workshop series: Calm and Connected: Parenting Children with ADHD/Executive Function Challenges© and Managing Homework: Parent Edition©. She provides Individual Parent Coaching on Long Island. As a certified ADHD Coach and ADHD parent training specialist, Cindy will help you understand the full impact of ADHD and provide you with the tools and strategies to manage it! Cindy’s award-winning book, 8 Keys to Parenting Children with ADHD, is an excellent resource for parents, educators, and mental health professionals. This book is rich with optimism, tips, tools, and action plans. It offers science-based insights and systems for parents to develop a deeper understanding of what ADHD is, beyond the most common characteristics (impulsivity, hyperactivity, and inattentiveness). Cindy's book provides different perspectives and techniques for parents, that will dramatically improve family relationships. Cindy contributes to magazines and online publications such as ADDitude magazine, Attention magazine, and Understood.org. Cindy has been an invited speaker at schools and professional conferences across the country and worldwide, including CHADD, LDA, ACO, ASHA and Kazim Trust of Pakistan. For information on topics, please click here. To request Cindy to speak at your next event, please visit this page. Cindy is Co-Founder of the Long Island ADHD Professionals Consortium. 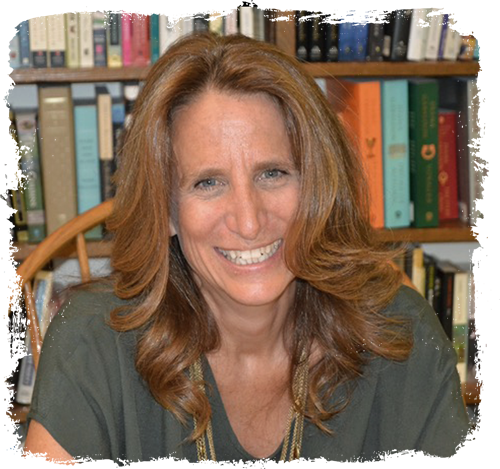 She is on the editorial board of Attention Magazine and the Executive Board of CHADD of Nassau County (Children & Adults with Attention Deficit Disorder) and has served on the Board of the Long Island Branch of the International Dyslexia Association. Cindy is also a member of ADDA (Attention Deficit Disorder Association) and ACO (ADHD Coaches Association). "I can’t thank you enough for your insight and information It has changed my thoughts and how I parent my son. As I read your book, I went through many emotions as I reflected on How I viewed my son. I cried at many points and I cannot Ever thank you enough for doing this work and for sharing it with the world You are a gem. I really appreciate how you give practical solutions and Things to work on. It has helped me and I will continue to refer to your book as I journey with my son through life. God bless." I enjoyed your presentation. You were energetic, informative, and made the learning accessible by using lots of real life examples. I walked away with greater insight, strategies and tools I will use in my classroom. Thank you.